The man had been wearing this jacket when he entered the reservoir. Police have released an image of the jacket worn by an unidentified man whose body was found in a reservoir in West Yorkshire. Officers were called to Butterley Reservoir near Marsden shortly after 11am on Friday when a member of the public spotted a body in the water. Underwater search teams recovered the body and the man was pronounced dead at the scene. Officers have been continuing to carry out extensive enquiries into the circumstances and to establish the man’s identity. 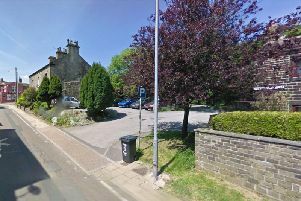 Detective Inspector Andrew Lockwood, of Kirklees CID, said: “We have yet to identify the man, but our enquiries remain ongoing both in Kirklees and further afield. Kirklees CID has released the image of the man’s jacket in the hope it will help trace his next of kin or spark the memory of anyone who may recognise it. It has now been ascertained that the man was wearing brown Timberland walking boots, a blue shirt and black jeans and was carrying a black rucksack. He is described as white, around 60 years old, with grey stubble and grey hair, and had a growth under his left nostril. Anyone who has any information that could help officers in identifying the man or anyone who witnessed anything in the area is asked to contact Kirklees CID on 101, quoting reference 13190018679.